NEW YORK, April 16, 2019 /PRNewswire/ -- Lack of awareness pertaining to oral health and diseases has been overcome by numerous programs organized by healthcare organizations. Government of numerous countries has taken initiatives to improve the oral health of consumers by investing in the healthcare industry. Insufficient exposure to Fluorides and inclination of consumers towards the consumption of sugar in high quantities have been deteriorating oral health. As a result, consumers have been shifting towards quality oral treatment, which is predicted to reflect positively on the growth of the global Endodontics and Orthodontics market. Endodontics and Orthodontics have been procuring significant grounds in the dental healthcare industry, on account of the prominent role played by these treatment methodologies in curing dental caries. The endodontic and orthodontic products, which assist in the diagnostics of tooth, fixing improper jaws and teeth, and operating root canal, have been adopted readily by the dentists. Being lucrative, Endodontics and Orthodontics market has attracted the attention of many manufacturers, who are diving into the business and bringing in innovation. 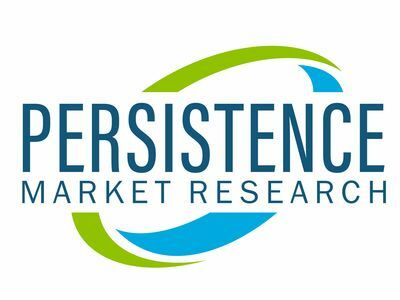 Foreseeing the strong growth propellers, a report published by Persistence Market Research (PMR) opines that the Endodontics and Orthodontics market is poised to surpass a promising CAGR of 5.2% with a market valuation crossing over US$ 4,593.9 Mn through 2028. With the perpetual rise in the inbound dental tourism along with growing trade activities of dental materials is expected to push the revenue bars of the Endodontics and Orthodontics market. Hungary in the Western European region is the capital of dental tourism given its comparatively cost-efficient treatment than the developed countries. Increasing import and export of consumables, supplies, and dental materials in Russia and Poland is anticipated to bolster the growth of the global Endodontics and Orthodontics market. As stated by OECD, consumers of the developed countries spend 5% of their total healthcare expenditure on curing dental caries. Significant demand for Endodontics and Orthodontics treatment has been witnessed from the geriatric population and children. Growing number of edentulous population is a favorable factor for the expansion of the global Endodontics and Orthodontics market. Depending on the geography, North America is anticipated to procure the largest share of about 50% in the global Endodontics and Orthodontics market, on the back of large concentration of expert dentists in this region. On the other hand, Asia Pacific is expected to remain a strong revenue enabler in the Endodontics and Orthodontics market during the forecast period with an attractive index of about 1.6. Some of the significant players of the Endodontics and Orthodontics market comprise of Danaher Corporation, Micro Mega SA, Coltene Holding AG, Mani, Inc., Patterson Companies, Inc., Ivoclar Vivadent Inc, FKG Dentaire SA, DENTAURUM GmbH and Co. KG, Align Technology, Inc., 3M, Ortho Organizers, American Orthodontics, Tomy, and BioMers Pte Ltd. These key companies of the Endodontics and Orthodontics market have been entering into strategic partnerships, productive mergers and acquisitions in order to expand their Endodontics and Orthodontics business. The leading and the emerging players of the Endodontics and Orthodontics market are devising novel development and bringing in innovations to improve their endodontics and orthodontics product. Since 2017, Patterson Companies, Inc., is aiming at developing high quality desktop, resins, accessories, and 3D printers for making the Endodontics and Orthodontics process easy for the medical professionals. Henry The A A forerunning player in the Endodontics and Orthodontics market, Henry Schein Inc., has been strengthening its foothold in the Endodontics and Orthodontics market with its 8 acquisitions in dental sector and 5 acquisitions in Europe's Arseus NV. SimiFollowing the trends of acquisitions, significant players such as 3M, Dentsply Sirona Inc., Align Technology Inc., Ivoclar Vivadent Inc., and Dentaurum GmbH are likely to focus on strategic acquisitions and productive partnerships to expand their Endodontics and Orthodontics business in the Endodontics and Orthodontics market.